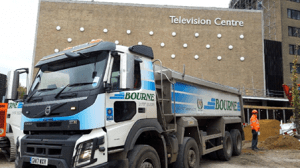 John Bourne & Co have been trading since 1947 firstly as agricultural lime merchants and haulage contractors, then latterly as national suppliers and contractors to the sports turf and landscape industries. Today we are a manufacturer and haulier of bulk lime and aggregate for farmers, builders and land owners covering Kent, Sussex and Surrey. 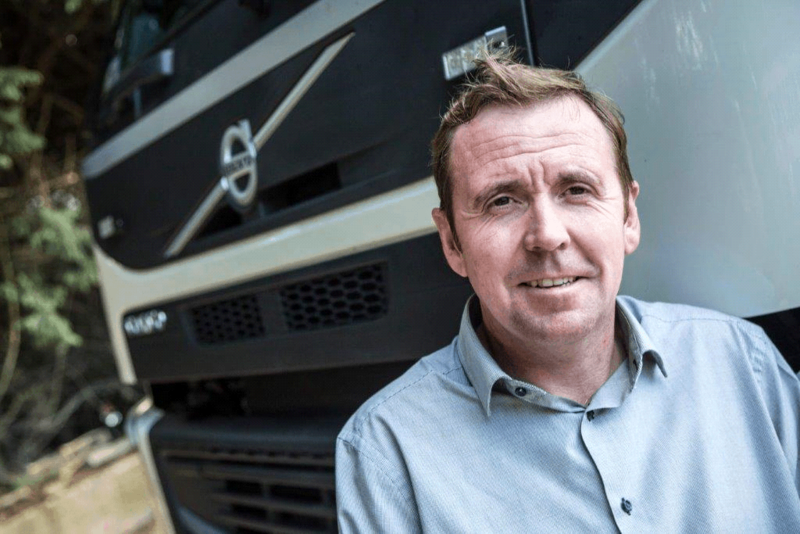 Philip Burdett, Transport Manager, explains how FORS has helped John Bourne & Co to achieve reductions in mileage and lowered their emissions through better working practices and procedures. We initially became aware of FORS through general trade media and trade associations when Graham Grieves was still Transport Manager for John Bourne & Co. Graham recognised that the company would benefit from the guidance of the FORS standard and the resources available for members to use whilst also giving the company a competitive advantage when tendering for contracts. Our first FORS bronze audit was conducted in 2013. It was a useful exercise as the audit gave an independent view of our processes and documentation. The audit highlighted areas that would benefit from minor improvement, which we took on board and subsequently actioned. This encouraged us to continue making improvements and regularly review our processes through the guidance of FORS. Since becoming a FORS accredited company, we have used the FORS safety information and standards to update our fleet of vehicles to a higher safety specification as stipulated in the FORS standard. During the last 12 months we committed to update 2 more of our vehicles in 2018 in addition to the 3 vehicles purchased in 2017. All vehicles will meet the same full specification including windows in the lower passenger door, improving direct vision with vulnerable road users. We also acquired an Artic in late 2017 to commit to our reduction in fuel emissions, enabling us to deliver more tonnes per gallon of fuel. We have seen a continuing trend in the reduction of mileage (706,000 miles 2016 to 584,000 miles in 2017) due to improved routing and scheduling which has resulted in a reduction in our overall emissions year on year (see table below). All these improvements have been the result of the FORS workshops and guidance which we view as one of the key benefits of this scheme. Our new Transport Manager, Philip Burdett, joined John Bourne & Co as a driver over 14 years ago. He joined the Transport Office in 2015 and then attended all 9 of the FORS practitioner courses to allow him to fully take over the role of Transport Manager from Graham Grieves on his retirement as a certified FORS practitioner. The workshops have been a useful source of knowledge and shared experience learning from others. Philip has seen a lot of changes in the company over the years and this has included the positive impact that the FORS scheme has made to transport operations. The Managing Director, Peter Bourne has also seen how much of a benefit it is to the company to hold this accreditation, despite his earlier scepticism. Having initially joined FORS in 2013, we decided to progress the company from Bronze to Silver and Gold, as it was evident that it would give us a competitive advantage. As a forward-thinking company, we strive to reach and maintain the highest standards both for ourselves and for our customers. We recognised that attaining Gold accreditation would help us demonstrate these standards. With a new Transport Manager and Haulage Administrator in the office, 2018 will be full of new challenges. We plan to add another member of staff to the transport office to support us in the daily operations which will enable us to maintain our focus on progressive management. We also look forward to engaging in our new strategy for recruitment of drivers into the industry. This will involve working with a local school to promote the career opportunities in professional driving. Initially gaining the FORS accreditation was a proud achievement and we still maintain that focus today as a FORS Gold member. The FORS standard has provided an important resource for company policies and procedures and it enables us to be a competitive player in the road haulage industry by increasing our potential to meet the standards required for certain contracts. Our commitment to the scheme ensures that we continually review our practices and procedures which has led to improvements year on year since we became FORS accredited. We look forward to another year ahead as a FORS Gold member and the continued positive impact the scheme has on our company. Please note: All published FORS Gold case studies have been submitted by the accredited company named above and transcribed verbatim.